This Cadac 15 channel sidecar provides 15 High Quality Mic Pre-Amps with parametric EQ plus variable frequency High Pass filters, ideal to use as quality audio sources or your DAW system, with a bit of modification by a capable engineer it can be used as a Summing Mixer as well and 15 free standing Mic Amps. Great value it works out at £ 250 for each mic amp and EQ. The sidecar comes with a breakout box providing 15 channel inputs and 15 transformer balanced direct outputs plus the power supplies and cables. The CADAC A Series mic amps and EQ were designed by the phenomenal Barry Porter, I never met Barry but he was involved in designing some of the best recording consoles in the UK. Along with Malcolm Toft he designed the Trident A Range console, a console that is so highly revered by producers that the channels change hands for up to £ 5,000 each, he also worked with Cyril Jones at Raindirk designing other UK superior consoles and also at Cadac designing these great consoles. 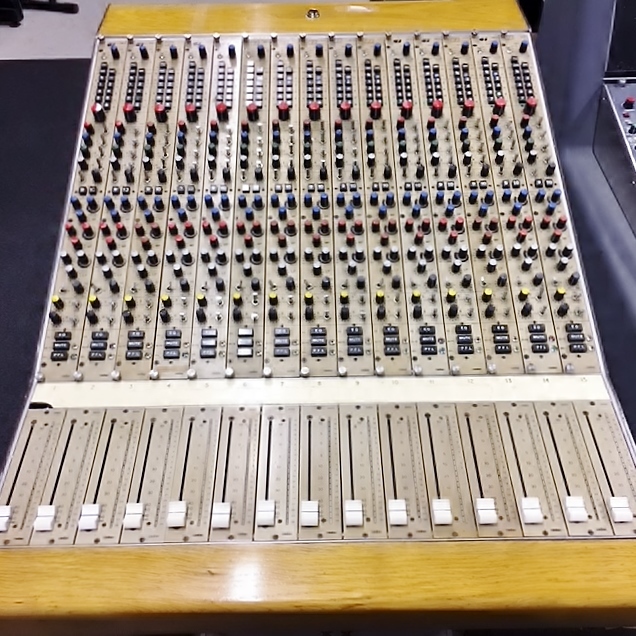 The Cadac theatre series, A, E, F & J ranges have been favourably compared with early Neve consoles costing many times more than the Cadac equivalent.